First, the boy. Though I do not know his name, he is not exactly a stranger, for I have often seen him on the vacant lot adjacent to my back yard. He is the son of the lot owner’s girlfriend, a nice-looking young man, about fourteen, rosy-cheeked with dark hair and eyes. Next, the BB gun. The first time I saw it, it was in the lot owner’s hands. However, the boy is the one who had possession of it the day a Catbird appeared in my yard, alive but suffering from a head wound. It was also the boy who used it a week later to kill a Robin—while his mother and the lot owner looked on. 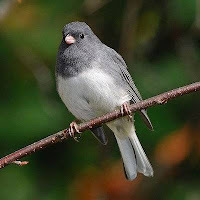 The bird the boy killed yesterday was a Slate-colored Junco. Like Catbirds and Robins, Juncos are common—but like Catbirds, Robins, and most other birds, they are nevertheless protected by the Migratory Bird Treaty Act of 1918. Even on private property. While the boy and his mother may not know that, the lot owner does. I should explain that I am former English teacher who, in retirement, has felt called to participate in citizen science, wherein ordinary people gather and report data to scientists who study the information thus gleaned. As calls go, this was a small one, involving no angels with their “Fear nots,” no long journeys, no dramatic confrontations with the Powers That Be, no astonishing pregnancies. This call came quietly through the invitation of a friend. It was easy to say “Yes” to a new way of observing small portions of God’s creation. One instrument for that “Yes” is the annual Great Backyard Bird Count. One irony of yesterday’s Junco shooting is that it occurred on Day 3 of this year’s Count. I had just set up my camera at the back door, placed my binoculars nearby, and begun to watch—and count—the birds at my back yard feeders when the lot owner and the boy arrived. The lot owner scattered bread crumbs. Thirty minutes later, the boy had shot the Junco dead. I have pictures. The neighborly thing to do, of course, would be to talk to the lot owner. But I have done that, as have others with more authority than I. I know from our conversations and from observing him at civic meetings that he is big on the rights of property owners—and that even on his vacant lot, he considers birds nuisances. “If you didn’t feed them, we wouldn’t have to shoot them,” he said to me once last summer. Another irony of the Junco shooting was that the bread crumbs he threw down were directly in line with my back door. Given our divergent political and philosophical leanings, I cannot help but wonder: Was he merely baiting birds, or was he also baiting me? Shaken, yesterday I did what I had previously been advised to do: I phoned the authorities. Today, this fourth and last day of this year’s Great Backyard Bird Count, I continue to watch and count—but also to watch and pray. Is there something else I should do? Today, Red-winged Blackbirds have come to the feeders, along with Blue Jays, Cardinals, Goldfinches, Sparrows, a Tufted Titmouse, a Carolina Chickadee, Mourning Doves, and yes, Juncos. Today I wonder: could any of them be angels? If so, what would they call me to do if they could speak? And I have a really good one: God is making me do it. Because of my intention to pay attention to what I know of myself, and what God seems to tell me about my call, throwing stuff away is especially difficult. Voices I consider authentic concur that my life is to be about using it up, re-using it, and recycling the rest. I am so in love with this good planet that we have been given, that it hurts my heart to waste or abuse the resources at our disposal (Yikes! Disposal. Did I say that?) My call and my nature is to NOT throw stuff away. I just can’t (won’t) pitch it. And of course the stupid thing doesn’t go away along with lots of other kept objects. It’s just the tip of the recycleberg. I’m not even going to mention the tangle of electrical cords cut from defective appliances. And I’m not without the resource of another good partner besides God. Laurel is a talented organizer and has remarkable diligence when it comes to finishing the task. I’m not too bad about keeping things tidy when I know where to put them, but not so hot at making decisions about the single weird item; that’s Laurel’s specialty. I’m optimistic. There is clear Biblical evidence that it is God’s point of view to regularly think, “There’s still good in that; I can use that in a new way.” I am certain that this same instinct is part of the way I was created. So there is no taint of alibi, when I say, “God is making me do it”; what there is, is a sense of living the adventure of day-to-day call. Some of you right now are thinking that getting up at 2:55am to order a phone is about the dumbest thing you have ever heard. And you may be right. But almost all of us are on the “how much technology do I need and what is its role in my life?” spectrum. Clearly our global society has changed with regard to technology and most of us are trying to figure out much we will join in. 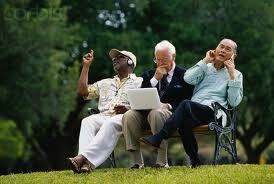 *We use Skype in our family to let our children see and talk with their grandparents in Florida. *A graduate school professor friend of mine has banned laptops in one of her classes. “We are going to practice being more present to one another.,” she says. *In the blogosphere, an argument is raging about how important social media is to the current protests in Egypt. 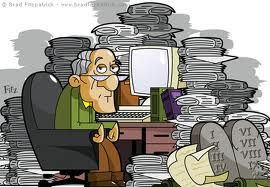 *A recent article in the NY Times entitled “Who’s the Boss, You or Your Gadget?” tells stories of technology either helping people balance their life, or driving them to workaholism. Whole Life Call is about doing our work in the world well. How will this gadget or that help me do my job better? Whole Life Call is about, well, our whole life. Will this gadget or that help me navigate the various roles and responsibilities I care about? How will it help me be more present to the commitments I care most deeply about? Whole Life Call is quality relationships (not quantity). How will this gadget or that deepen my relationships? Whole Life Call is about our Spiritual life. How will this gadget or that impact my spiritual life? Remember the story a few years ago about the pilots who overshot their destination because they were on their laptops? It is a metaphor worth thinking about…. To comment on this blog, simply click the title of the blog, scroll to bottom, and write your comment in the box provided. You can post anonymously, or using your name by typing it at the end of your post. Do you ever have those moments when you are just hummin' along, minding your own business, kind of tuned out, rather than tuned in, and WHAM-O! The Next Step falls right into place? I've been having just such a day. I’d been needing some guidance about call, and during a conversation this morning, a mentor mentioned the work of singer-songwriter Jana Stanfield. What a treat! Jana has recently been awarded the "Positive Music Association's Seal of Excellence," and her latest song is all about call, a PERFECT song to share with each of you, since you are people interested in living your call! Now, this is exciting for a couple of reasons. 1) My whole day unfolded to teach me about call! I woke up knowing I needed help with a "next step" I needed to take, but not entirely sure I would actually call my mentor - the money, busy, unsure I would actually do anything different.... Then up popped an 8am message from her - "Call me! I have an idea for you!" So my first "next step" was to be available, and to actually call my mentor. Turns out her idea is a wonderful opportunity for me to be mentored and learn, while helping her in something she needed, too. Win-win! The next small step became to research Jana Stanfield on Youtube, which, in turn, led to encouragement for many. Living my call requires that I'm open for simply following the next step, not focusing on all I DON'T know about what I am doing, but rather to say YES to the tiny next step that presents itself. I did a lot of walking in my call today! that's your true calling calling you. 2) Jana's song is brilliant - and the video is incredible. She shows how call does indeed involve both hard work (years of musicianship, getting to Vietnam, bringing people together, etc.) AND joy (bubbles, butterflies and chickens, laughter, head-shoulder-knees-and-toes, etc.)! Community is always supported by call, and this communal time depicted feels like the Kingdom of God at hand, to me. that's your true calling, calling you. 3) Lumunos has been talking about call for a LONG time. Back when we started, people were generally familiar with those in a ministry profession being called. But we lay-folk? New idea, and oh-so important. YES! Each one of us is called to our good work in the world! We recently took heart when the job search website Monster.com came up with the tagline: "your call is calling." Now, there are whole beautiful songs written about you - everybody! - following YOUR CALL! We are on a good trajectory, folks. You ask yourself "is this a voice I can trust?" but you know that you must. when your true calling is calling you. The work you do matters in the world. Even how you define your work matters! We believe the one who is calling is God. And we hope this song encourages your journey of next small steps, today! For more resources to support your call, click here for "free downloads." Tiffany has been connected with Lumunos for 14 years, and is now a Ritual Coach in the Washington DC area. You can find her on Facebook at Soul Seasons.